After the reds, yellows, and oranges of the maples turn to green, New England transforms from the quintessential scenic fall drive into the go-to summer destination for that idyllic summer feel: boats on the water as your sand-encrusted feet dangle off the docks, ice cream in hand. Whether you’re in the mood for sightseeing, immersing yourself in culture and history or lounging on a beach, New England offers some of the best places for these experiences and more. Steeped in centuries of history, from the Salem witch trials to the rebellious ride of Paul Revere, there is plenty to learn in and even on the façade of the historic buildings. Be inspired by the same landscapes and atmosphere as the likes of authors like Henry David Thoreau, Ralph Waldo Emerson, and Jhumpa Lahiri whose beautiful words left impressions on thousands of hearts, like New England will leave an impression on yours. Feast on fresh lobster, crab, oysters daily! 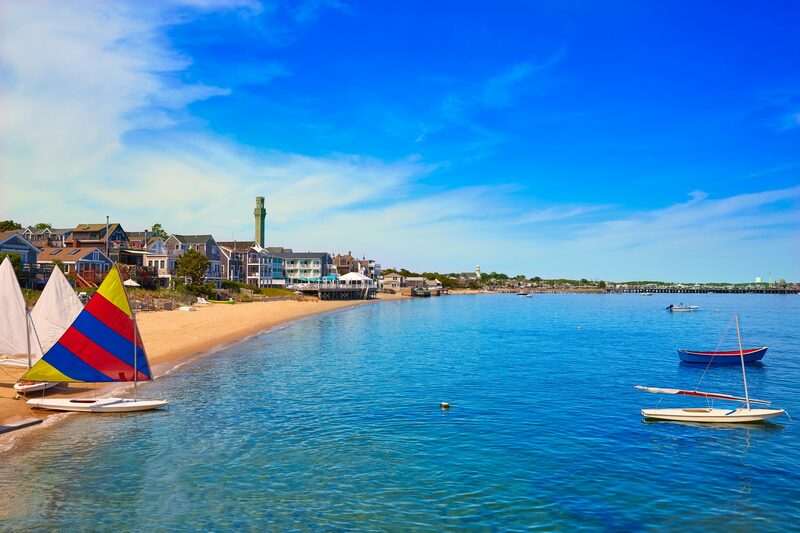 From the modern metropolis of Boston to the sleepy fishing villages of Block Island, you will fall in love. Newport is renowned as New England’s sailing hub. Embark the yacht and be dazzled by the beautiful views of this island’s historic waterfront. Bannister’s Wharf is the perfect place for your first taste of New England fare. Spend the evening exploring. Before leaving Newport, go for a cliff walk, a 3.5 mile walkway on the shoreline with views of the entire coast. You’ll be enamored by the beautiful mansions along the route and the calm waters washing up against the sand. If there’s time, stop at Castle Hill Inn and enjoy the view from the front lawn. Upon return, set sail for Martha’s Vineyard, a long time refuge for America’s elite. For dinner, eat at The Black Dog Tavern in Vineyard Haven order the must-try chowder. One of the best ways to explore Martha’s Vineyard is by bike. Clamber onto your two-wheeled rental and spend the morning cycling around the island. Once a centre for the whaling industry Edgartown is one of the Vineyard’s trendiest locales so take a pit stop for lunch and see if you can recognize any landmarks as it was the shooting location of the 70s thriller “Jaws”. Later, hop over to the gray-hued island of Nantucket, a summer getaway for CEOs and other society types. Nantucket’s cobbled streets and charming sea-weathered buildings are home to an assortment of quirky little shops. Peek into a store and see if you can purchase a traditional lightship basket, a traditional Nantucket souvenir. To experience a taste of what Mrs. Emily Gilmore of the 90s revived classic, Gilmore Girls, was drawn to, visit the The Whaling Museum to get a taste of local history. As well, the Toy Boat boasts a stellar collection of classic wooden floatables. In the evening, tickle your taste buds with a selection of New England’s finest fish and seafood at the White Elephant Hotel’s Brant Point Grill, which also has stunning views of the harbor lights. In the morning the yacht will make way for Provincetown. Bring your cup of coffee to the aft deck and ejoy the sea breeze and ocean views as you cruise. Upon arrival in Provincetown, disembark to explore this artist’s heaven, while the crew sets up a traditional lobster bake on the beach for an evening of succulent seafood under the stars. One of the oldest cities in the United States, Boston bustles with industry and life cast against the city’s classic architecture. Despite being a metropolis, Boston still maintains a small town charm filled with both tourist attractions and more hidden gems. Visit the waterfront and attractions like Rowes Wharf, a great shopping spot for local goods and souvenirs, Quincy Market, and the New England Aquarium. History buffs should head for the Freedom Trail to walk back in time to the beginnings of the Revolutionary War. Before leaving Boston, be sure to visit the USS CONSTITUTION — the world’s oldest commissioned naval vessel, named by first U.S. President George Washington. End your journey with lunch at a classic local haunt like the Union Oyster House, the oldest restaurant in the U.S. Sports fans may want to spend some extra time and attend a game at Boston’s famed Fenway Park, home of the Green Monster.